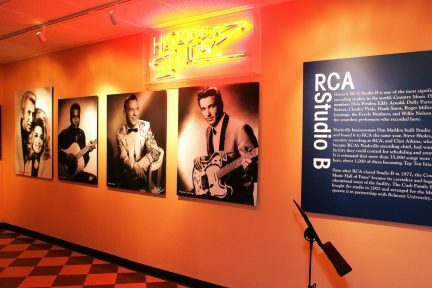 Situated in the heart of downtown Nashville, in the same building as the buzzing Country Music Hall of Fame and Museum and the chic Omni Hotel, music-lovers will find something a little more old-school. Dating back to 1879, Hatch Show Print defies the notion that handmade, printed artifacts do not have a place in this automated, digital age. 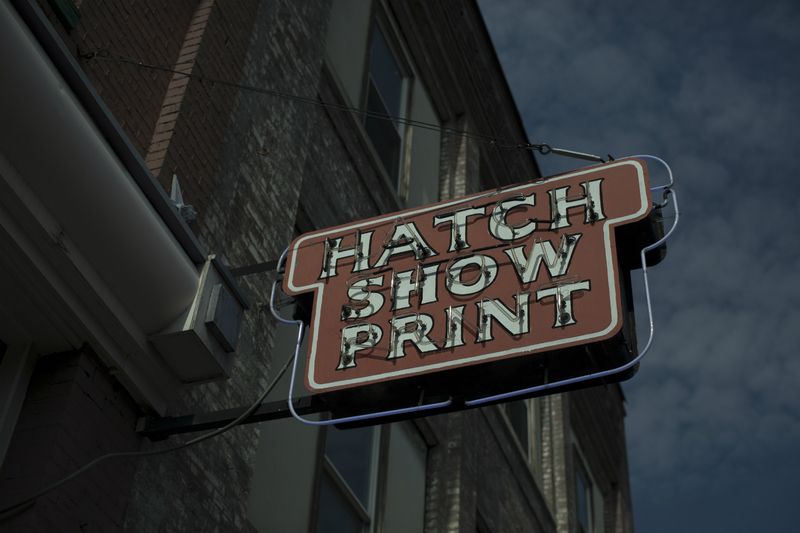 Known for its letterpress printing, most famously of live music show posters, Hatch is proof that print has a life in modern day. 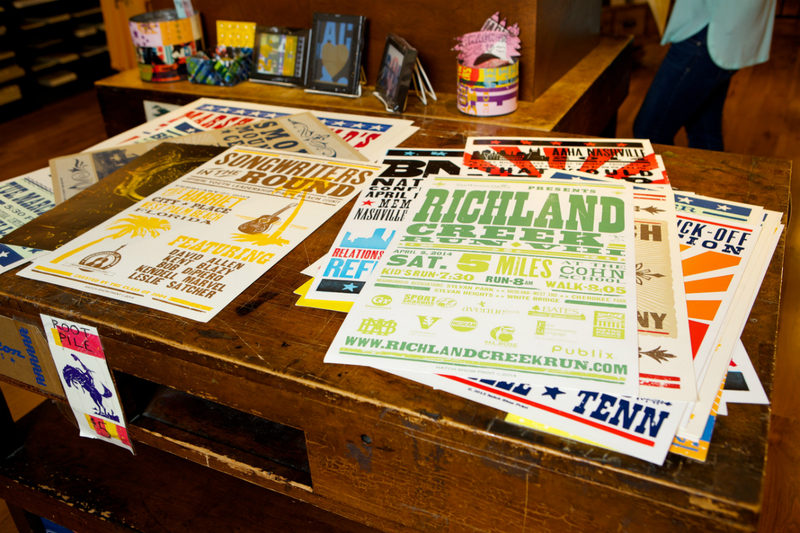 “This print shop is thriving,” says Kathy Grucella, who has worked at Hatch for a decade. She describes the shop as “uniquely Nashville” and likens it to “a study in the history of Southern entertainment.” Why? Because Hatch has seen it all—or perhaps more accurately, has made posters for it all. 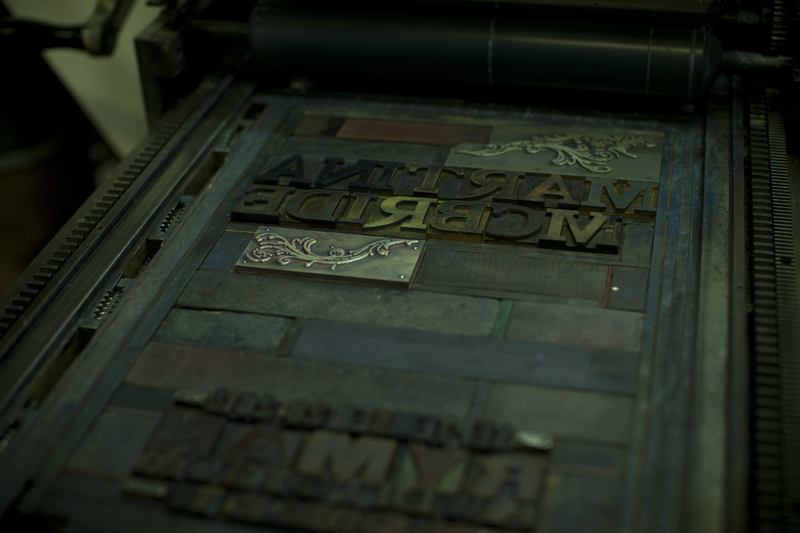 It began with William H. Hatch, who had a letterpress print shop in Prescott, Wiscsonsin. There, his two songs Herbert H. and Charles R. learned the craft; the family moved to Nashville in 1875, and four years later, the sons founded their own print studio: CR and HH Hatch. Their very first job was advertising Reverend Henry Ward Beecher’s appearance in Nashville, but the burgeoning business went on to make posters for every kind of show, be it vaudeville or circus. 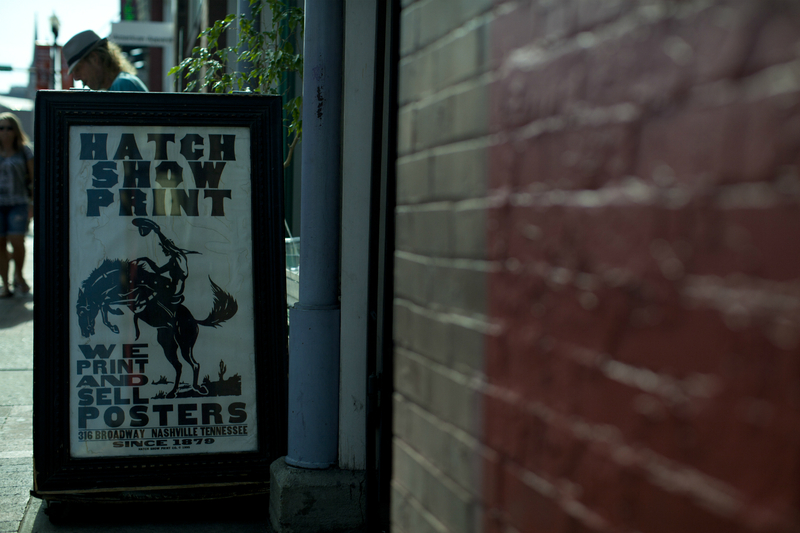 In the mid-1920s, Charles’s son Will T. Hatch took over the shop, which went on to make posters for all of the big names in country music at the time, as well as blues and jazz artists including Louis Armstrong and Duke Ellington. 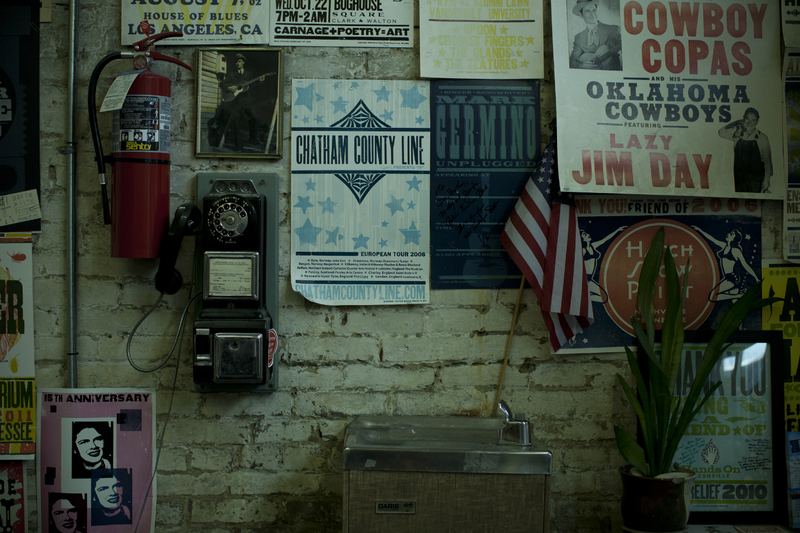 After Will Hatch died, the shop changed hands and locations a few times, but was eventually donated to the Country Music Hall of Fame and Museum in 1992, and settled into its current location—which is modelled after Will Hatch’s shop and incorporates much of his shelving and type cabinets—in 2014. 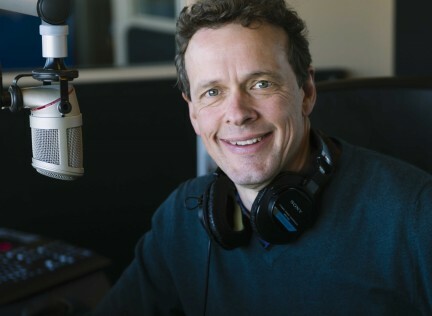 Over the years, Hatch has printed posters for seemingly everyone in the entertainment business, from Adam Lambert and Jack White to Willie Nelson and Elvis Presley. 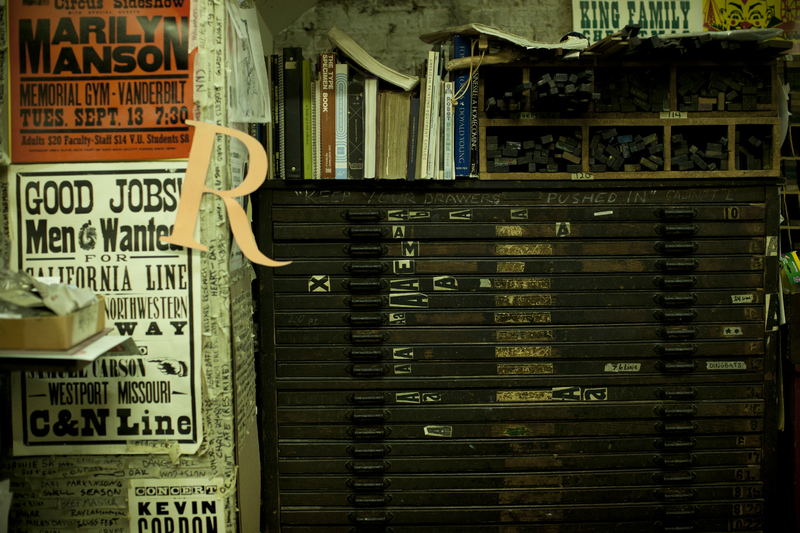 Hatch does everything, from concept, to layout and design, to, of course, the actual hand-printing. Each letter is laid out individually (each little block of wood with a different picture or frame is too), and every type of paint is done separately. “It’s one colour at a time, one piece of paper at a time,” Grucella says of the process. That means if a customer orders 500 copies, 500 individual posters are pressed, one colour layered on top of another, with time to dry in between. 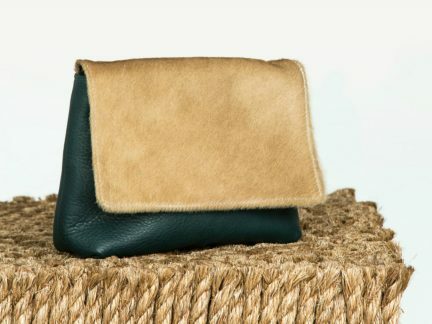 It is a painstaking process, but the result is a whimsical, cheerful, effective product that could sell just about anything. Curious passersby can pop into the adjoining gift shop to watch the action, or view it through the shop’s massive glass windows (best done with a coffee from the Omni’s nearby Bongo Java in hand); or keeners can book a tour, which takes them behind the scenes, gives them a little history of the shop (and of letterpressing), and even lets them learn the craft for themselves. 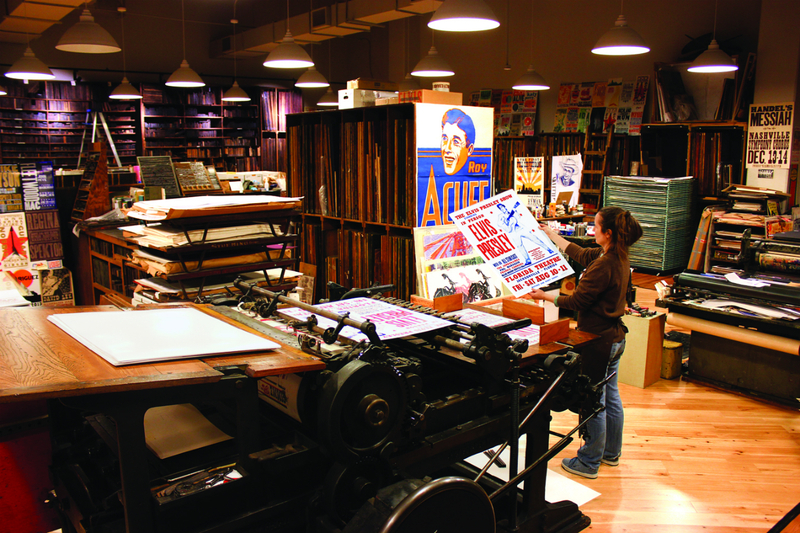 And just across the atrium from the shop is Hatch’s Haley Gallery, which showcases monoprints by “master printer” Jim Sherraden, and reprints of historic and archived posters. It’s all beautifully 19th century, in a 21st-century world. Go more places. Read from our Travel section. 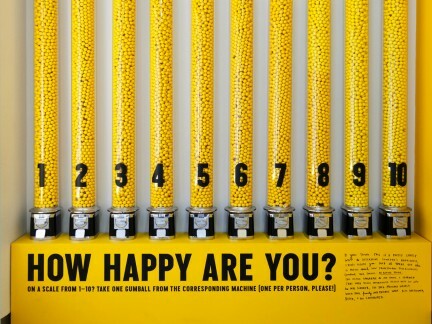 Stefan Sagmeister's lessons in joy.